The central Oregon coast is chock-full of camping opportunities for folks looking to escape to the wild beaches. From minimalist hiker/biker sites, to private walk-ins, full hookups and yurts, there’s something for all types of campers. 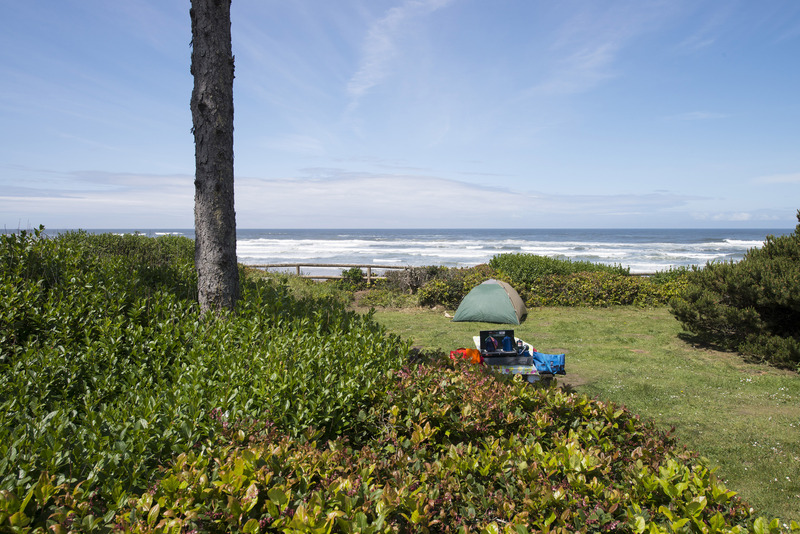 With trails leading straight from a number of these different campgrounds and beaches to explore right from your campsite, you may not even need to leave your campground for a truly memorable Oregon coast experience! Trail from the South Beach State Park campground to the beach. Photo by Tyson Gillard. 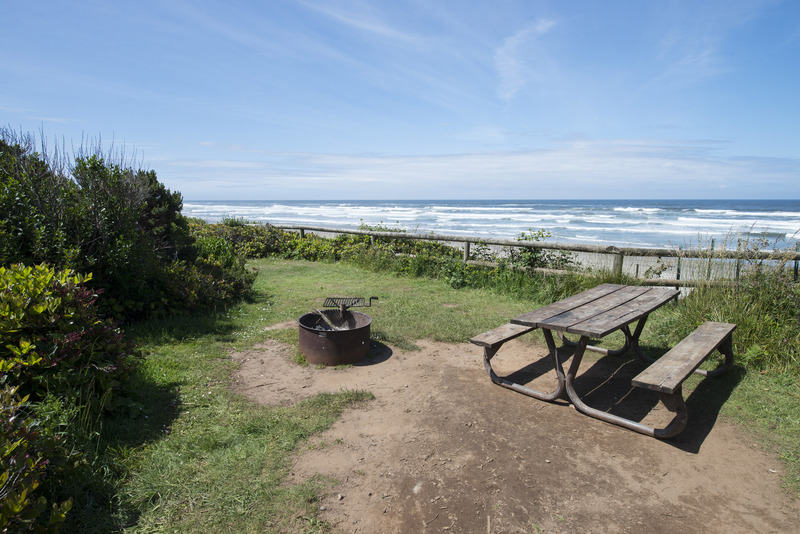 South Beach State Park offers more yurts than any other Oregon State Park, with 27 total. With 227 sites with electrical and water hookups, 60 tent sites, three group sites, and hiker/biker camping available, South Beach has room for every time of camper. Located south of Newport, there are an abundance of activities nearby. From kayaking at Beaver Creek State Natural Area or crabbing in Yaquina Bay, you won’t lack for things to do. This park is managed by Oregon Parks and Recreation. Reservations can be made through Reserve America. Wakonda Beach at Beachside State Recreation Site Campground. Photo by Tyson Gillard. The name says it all here. Beachside State Recreation Site is just a few feet away from the beach and crashing waves. While the majority of sites here lack electric and water hookups, there are 30 RV sites, 42 tent/car sites, four walk-in sites, and two yurts that make this a moderately sized location. Sitting between Waldport and Yachats, you have multiple state parks and recreation sites to explore nearby in addition to lighthouses. The proximity to sand means this campground is quite popular, however. Reservations are recommended here and can be made through Reserve America. ​Note: Managed by Oregon State Parks, Beachside State Recreation Site Campground is typically open from mid-March through the end of October. Call 800.452.5687 for seasonal date details. Beachside campsite at Tillicum Beach Campground. Photo by Tyson Gillard. Another favorite right next to the beach, Tillicum Beach Campground offers campsites where you can watch the sun set over the ocean, a special treat. Year-round abundance of wildlife mean that no matter the season, campers can find wild animals to view. In the winter months, migrating gray whales spout off shore and tide pools abound over at nearby Yachats State Park. With 36 tent/car sites and two walk-in sites, this is a car camper’s heaven. Reservations are highly recommended here after mid-May. This campground is managed by American Land and Leisure, and reservations can be made through Recreation.gov. 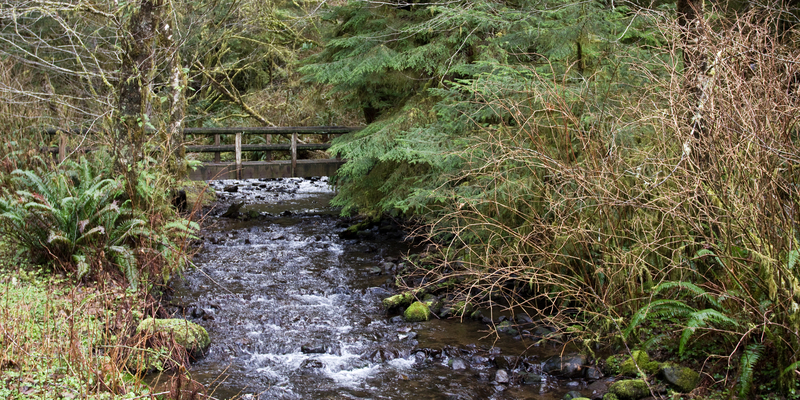 This bridge at the upstream end of the campground leads to the Cape Perpetua Giant Spruce. Photo by Heron Marychild. Most campsites here are along Cape Creek. 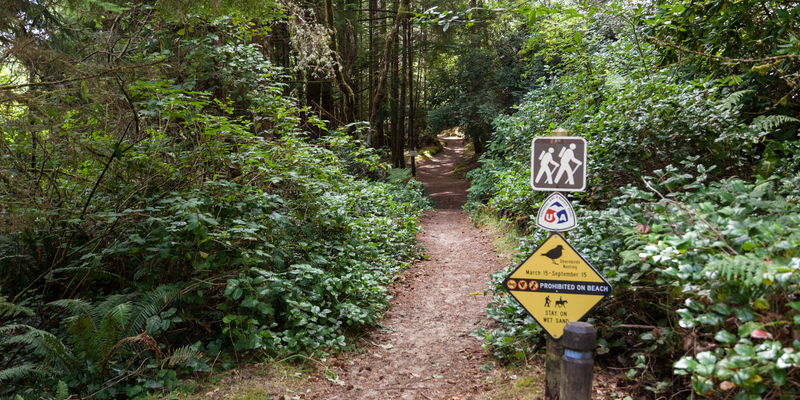 You’ll find loads of hiking in this area, with the Saint Perpetua Trail, coastal trails, and even mountain biking on the Cummins Creek Trail. There’s not much in the way of privacy here as most sites also sit alongside the road, but if you can grab one of the few more private sites, you’ll be glad you did. The beauty of this area will make you glad you stayed. The Cape Perpetua Giant Spruce is worth the brief walk from the campground as well, making a pleasant after dinner stroll. With 37 car/tent sites, this campground is managed by American Land and Leisure. Reservations can be made through Recreation.gov. Note: Cape Perpetua Campground is open roughly May 16 through September 22, and reservations are permitted between May 16 and September 1. Open dates may vary slightly year to year due to weather conditions and funding. The forest floor around some of the walk-in tent sites at Carl G. Washburne Memorial State Park Campground is covered in a lush carpet of moss. Photo by Heron Marychild. Carl G. Washburne was an Oregon Highway Commissioner from 1932 to 1935. Later, his wife Narcissa gifted a massive tract of land to the state in her estate. This gorgeous land has mostly RV sites and gives much more privacy than the typical RV campground. The prettiest sites lie a short stroll down the walk-in path. Literally carpeted in moss, and farther away from the rest of the grounds, sleeping here is like camping in a green cathedral. Managed by Oregon State Parks, reservations can be made year-round at Reserve America. One of the small lakes in the Alder Dune campground. Photo by Heron Marychild. While most of the sites are smaller here, they’re cozy and private and many have views of Dune Lake. No room for large groups here, it’s a much quieter campground than others along the coast. 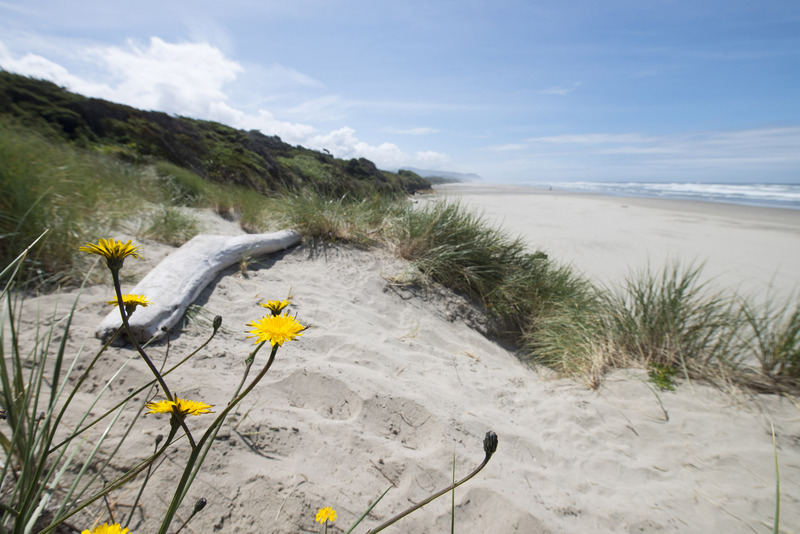 Easy access to Sutton Beach makes it possible to explore the dunes from a nearby trailhead. This is a tent campground. Managed by American Land and Leisure, reservations an be made at Recreation.gov. 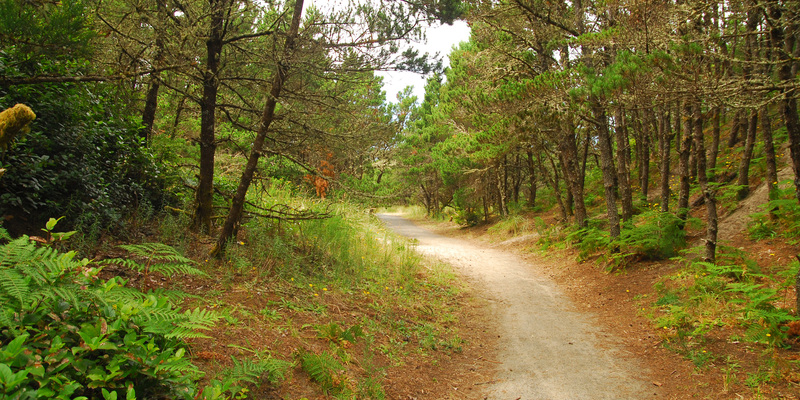 Typical campground road at Honeyman State Park Campground. Photo by Denis LeBlanc. The second largest Oregon State Park campground, this is not a place to go if you’re looking for solitude. With 145 tent/car sites, 120 RV sites, and 45 full hookup sites, not to mention 10 yurts, Honeyman is the staging ground for dune explorations of all types. An entire loop is designed for off-road (OHV) fans, and it is the only one that allows OHVs on the roads. Trails also lead to two nearby lakes for swimming in the summer months. 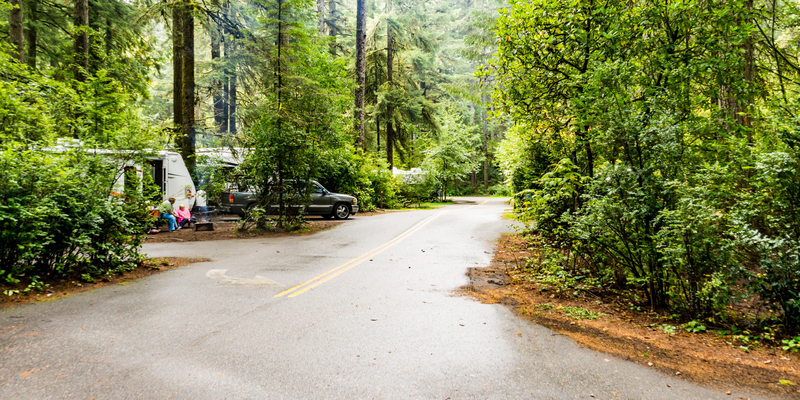 Because this campground is so close to Eugene, it can be quite full in the busy summer season. Reservations are highly recommended and can be made through Reserve America. The popular trail to Threemile Lake leaves from a day use area adjacent to Tahkenitch Campground. Photo by Halvor Tweto. Tahkenitch Campground is a tent campground only, with 34 tent/car sites and no hookups. 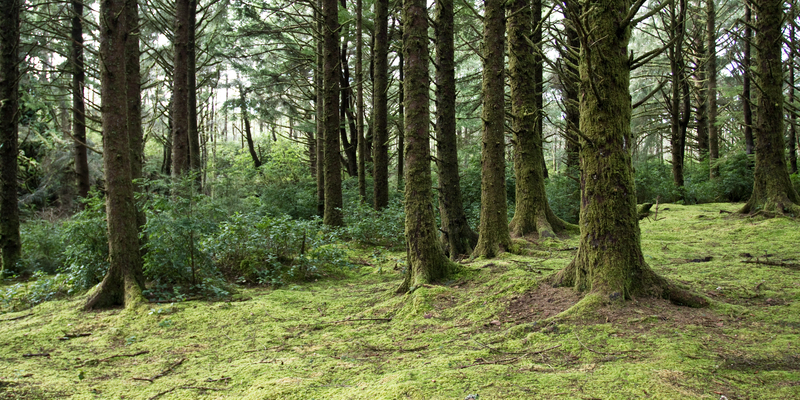 Located within the Oregon Dunes National Recreation Area, you won’t find OHVs here, only lush Douglas Firs. Campsites can be close together, but they are numbered separately. The day use area attached to the campground allows access to the Threemile Lake and Tahkenitch Dunes Loop trails. Tahkenitch Campground is open from March 15 through September 15, and while it doesn’t receive the traffic that some other more developed sites receive, reservations are still recommended in peak season. 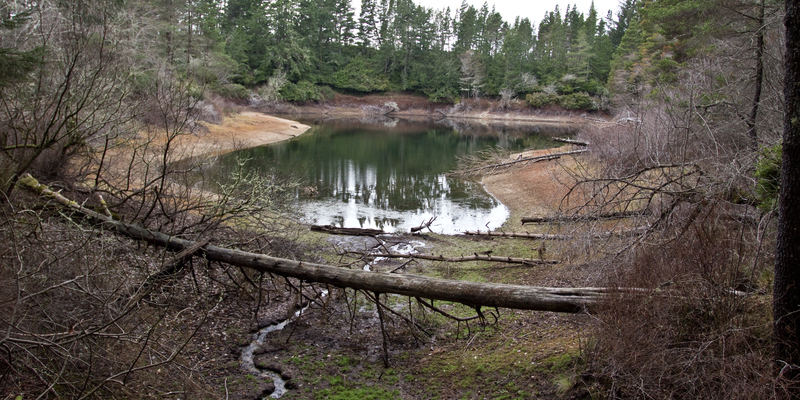 Managed by Siuslaw National Forest, reservations can be made through Recreation.gov. Inside a deluxe yurt at Umpqua Lighthouse State Park Campground. Photo by Halvor Tweto. The Oregon Dunes National Recreation Area offers so much to visitors, and Umpqua Lighthouse State Park is a jewel worth visiting here. The campground makes it easy to explore both north and south from here and around the Reedsport area. 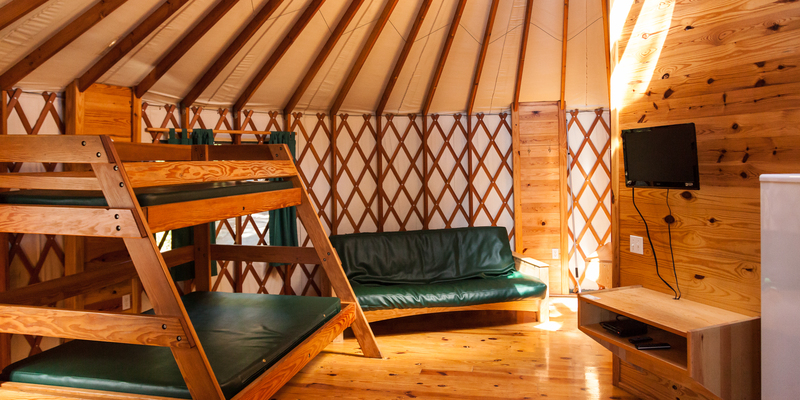 For the extreme planning types, the deluxe yurts are worth the effort to make a reservation. With porch views of the lake, electricity and full amenities, it won’t matter what the coastal weather throws at you. Comfort is king here. Tent sites make up the majority of the camping sites with only a handful of hookups and RV spots. Advance reservations are highly recommended, especially for the yurts and cabins. Managed by Oregon State Parks, you can reserve your spot at Reserve America. Yurts are a popular choice at William M. Tugman State Park. Photo by Halvor Tweto. With so much to do, you might not know where to start first at William M. Tugman State Park. Eel Lake is easy access for swimming, Oregon Dunes National Recreation Area is nearby as well, in addition to all that the state park itself has to offer. 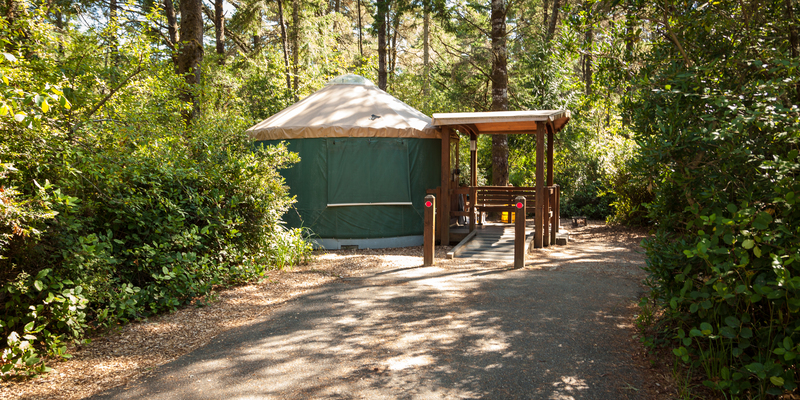 With over half of the yurts designated either ADA accessible or pet friendly, it’s a welcoming park for all visitors. The east side of the campground provides sites near Eel Creek. Trails braid through the grounds and offer a nice evening walk after a busy day of exploring the coast. Reservations for the park can be made through Reserve America. 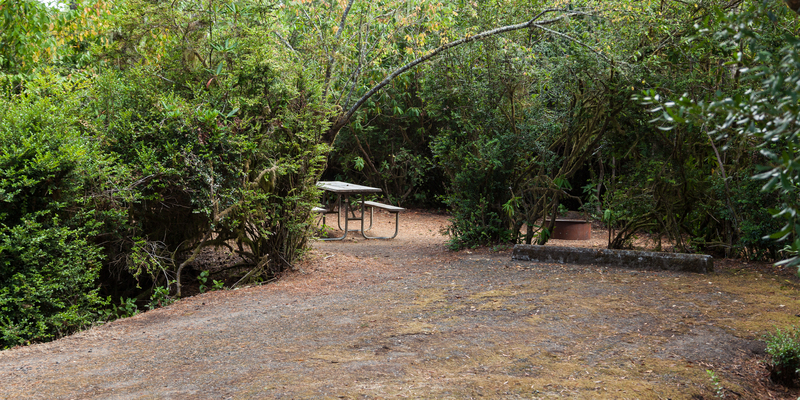 Many of the sites are tucked away in coastal shrubs at Eel Creek Campground. Photo by Halvor Tweto. Oregon Dunes National Recreation Area can be quite busy with OHVs, but Eel Creek Campground is nicely placed in the middle of one of the area’s non-motorized zones. The reduction in noise and traffic makes for a pleasant camping experience and safer walking out into the dunes themselves. The mind-blowing John Dellenback Trail can be accessed right from the campground as well. Picking up forgotten supplies is easy, with Reedsport only 10 miles to the north. There are no hook-ups, no yurts, or much beyond basic amenities here. The benefit of all this is that it sees less traffic and use. As always on the Oregon Coast, however, reservations are recommended in the busy summer months. The campground is managed by Siuslaw National Forest and reservations can be made at Recreation.gov.